Mount Whitney is the highest mountain in the contiguous United States or the lower 48 states. The only American mountains higher than Whitney are in Alaska, which has seven higher peaks including Denali, the highest peak in North America. Mount Whitney is the second highest ultra-prominent peak in the Lower 48 U.S. states with 10,071 feet of prominence and is the 81st most prominent peak in the world. 2nd highest US state high point. 81st most prominent mountain in the world. 24th highest mountain in North America. 11th highest mountain in the United States. High point of Sequoia National Park. High point of Inyo and Tulare Counties in California. Summit is the southern endpoint of the 211-mile John Muir Trail. First Ascent: First ascent by Charles Begole, A. H. Johnson, and John Luca on August 18, 1873. Mount Whitney ironically lies only 76 miles from Badwater, the lowest point in North America at 282 feet (86 meters) below sea level in Death Valley National Park. Mount Whitney has a huge vertical rise, towering 10,778 feet (3,285 meters) above the town of Lone Pine in the Owens Valley to the east. Mount Whitney is on the Sierra Crest, a long row of high peaks in the north-south trending Sierra Nevada mountain range. Whitney and the Sierra Nevada are a fault block range with its steep fault scarp on the east and a long gradual incline on the west. The exact elevation of Mount Whitney has risen over the years as technology has improved. A brass USGS benchmark on the summit lists the elevation as 14,494 feet (4,418 meters), while a National Park Service summit plaque gives it as 14,494.811 feet. Today Whitney’s elevation is considered to be 14,505 feet (4,421 meters) by the National Geodetic Survey. Stay tuned, it might still be growing! 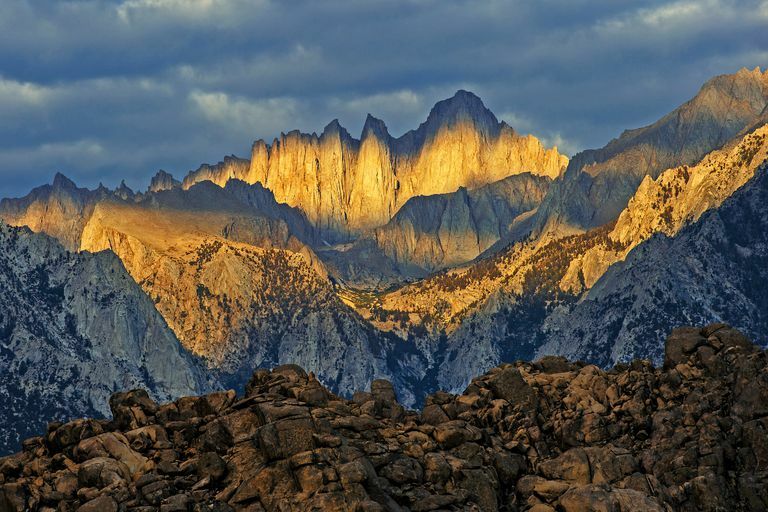 Mount Whitney’s east side is in Inyo National Forest, while its west side lies in Sequoia National Park. It is also in John Muir Wilderness Area and Sequoia National Park Wilderness Area, making it subject to wilderness regulations. The California Geological Survey named the peak for Josiah Whitney, California’s State Geologist and survey chief, in July, 1864. A glacier on Mount Shasta was also named for him. On the geological expedition that named the mountain in 1864, geologist and climber Clarence King attempted its first ascent but failed. In 1871 King returned to climb Mount Whitney but mistakenly climbed Mount Langley instead, which was six miles away. He returned in 1873 to rectify his error and climbed his mountain nemesis, unfortunately, three other parties had already climbed Whitney, including the first ascent a scant month previously. Charles Begole, A. H. Johnson, and John Luca, fishermen from Lone Pine, made the first known ascent of Mount Whitney on August 18, 1873. They renamed it Fisherman’s Peak. The United States Geological Survey, however, decided in 1891 that the peak would remain as Mount Whitney. After World War II there was a movement to rename it for Winston Churchill but it failed. Mount Whitney is the most climbed high peak in the Sierra Nevada and one of the most climbed mountains in the United States, although no exact statistics are available. The 10.7-mile Mount Whitney Trail, 22 miles round-trip, is the most popular route to the summit. It gains 6,100 feet (1,900 meters) up the east side of Mount Whitney from the trailhead at Whitney Portal (8,361 feet) 13 miles west of the town of Lone Pine. Permits from the U.S. Forest Service and National Park Service are required year-round to climb the mountain to save it from being loved to death by the tramping impact of hundreds of hikers a day. Permits are scarce because more people want to climb Whitney than what is considered the daily carrying capacity of the trail. Permits are allocated in summer by lottery. Peak climbing season is July and August when the weather is generally warm and sunny. While the Mount Whitney Trail is the “cattle route” to the summit, some climbers opt for more adventure. 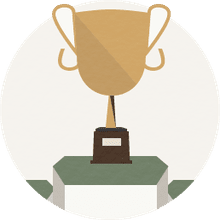 One of the best and most popular climbs is The Mountaineer’s Route (Class 3 scramble), first climbed by none other than the great naturalist and climber John Muir in 1873. Muir, like Clarence King, mistakenly climbed Mount Langley first and then, after realizing his error, moved his camp south to the mountain base. A couple of days later, John Muir “set out afoot for the summit by direct course up the east side.” At eight o’clock on the morning of October 21, he stood alone atop the summit. Muir later wrote of his route, “Well-seasoned limbs will enjoy the climb of 9,000 feet required for this direct route, but soft, succulent people should go the mule way." There is still a lot of truth in that statement.